Top 3 Ways to Know If Your Debt Collector is a Scammer! Is Your Debt Collector a Scammer That caller might be a debt collector or an identity thief. Get some tips on how to tell the difference and protect your identity! It is bad enough if you are struggling with debt and trying to deal with the constant calls and letters from debt collectors trying to get your money. Now, on top of that, there are scam artists out there that are using that to steal from you. These criminals find out just enough about you to pose as a collector for one of your creditors. They then call you demanding payment, and because you do owe that creditor, you are prone to believe them. If you fall for it, they can get your money and even more personal information about you. But fortunately, debt collectors are highly regulated, and you can use that against them. Here’s how! As stated above, debt collectors are highly regulated, particularly by the Federal Fair Debt Collections Practices Act (FDCPA), which requires that they identify themselves properly. Demand to know the full name of the debt collecting company, its address, and telephone number. If the caller won’t do this or tries to avoid doing so, hang up. If the caller does provide an address, verify it with a quick Google search. It is hard to hide on the Internet, and if Google does not come up with them at that location, they are probably a scammer. As for a telephone number, try calling them back. A real company will most likely route you through a complex set of options. If the debt collector answers directly, he is probably a scammer. a statement that, upon the consumer's written request within the thirty-day period, the debt collector will provide the consumer with the name and address of the original creditor, if different from the current creditor. Ask them to provide the last 4 digits of your Social Security number. As the FDCPA prevents a debt collector from doing this, a properly trained, legitimate one will not do it. If the caller does provide personal information, do not verify it; they are just looking for more information to commit identity theft. Whether the caller is a scammer or not, you should demand a validation of debt, and then refuse to talk to them until it is provided; hang up the phone. Then, if you do get a proper, written validation in the mail, from a company you can verify on the Internet, then you need to deal with it. 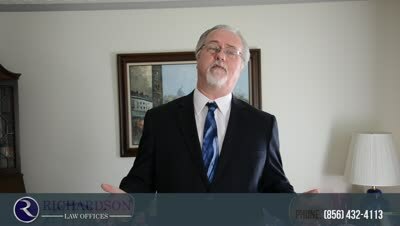 If you live in southern New Jersey and would like my assistance in dealing with the debt, feel free to call my office at 856-432-4113 or contact me through this site to schedule an appointment in my Woodbury office.